Here in Arizona, it is already in the 90’s… it even hit triple digits! 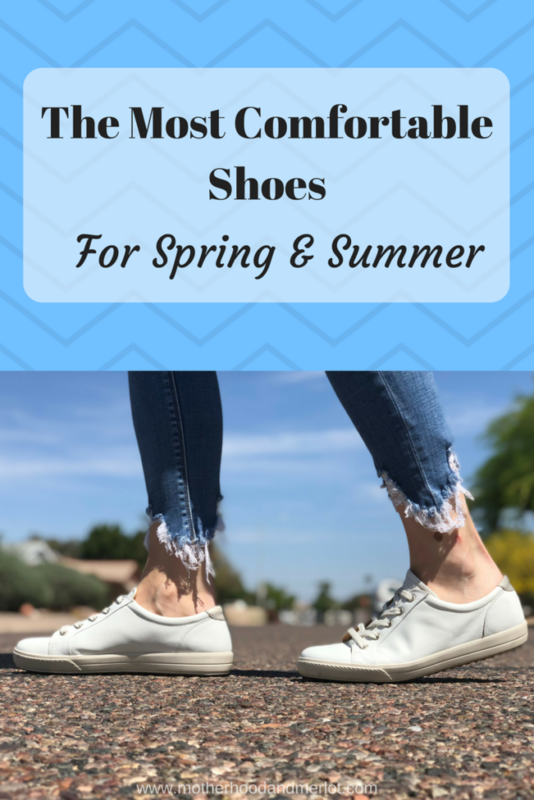 With that being said, I am sharing a pair of my new-found favorite, most comfortable shoes for spring and summer, in partnership with Hotter Shoes. Hotter Shoes is the UK’s biggest shoe maker since 1959, and all of their shoes are made in a UK factory. they have a ton of great options for comfort and style on their website. *This post was done in partnership with Hotter Shoes. All opinions on the products in this post are my own. 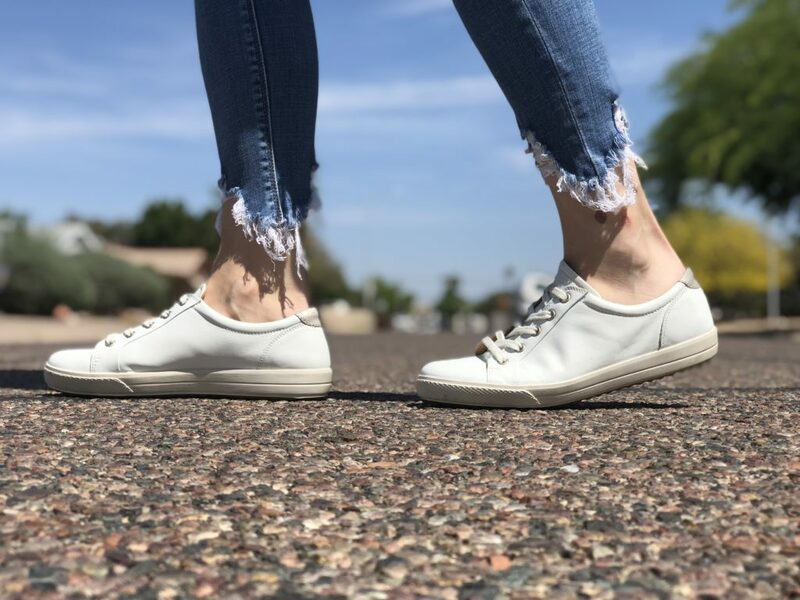 The first pair of shoes is perfect for moms on-the-go, who still want to look trendy, but are also looking for ease and comfort in a shoe as well. These ivory tennies are some of my new favorites! I love how easy they are to pair with so many different outfits. I have styled them here with ripped denim and a button up, which I love, because it is such an easy and complete outfit. I wore this outfit to brunch, and I live for it. Plus, it is so comfy! You can also pair them with joggers and a graphic tee for trips to the store, or to pick up the kids from school. To be honest, I would probably wear this outfit anywhere:) I am all about comfort! Another pair of shoes that I have been loving from Hotter Shoes are these open, Birkenstock style sandals called the Tourist Shoes, which is so fitting. They are seriously the most comfortable shoes I have ever worn before! These are the kind of shoes that you can wear to do anything in, for a long period of time, and they won’t give you blisters or sore feet at all! Hotter Shoes has a fitting guide so that you can find the right size and fit of shoes for your feet, and each pair has a 100% Happy Guarantee which allows you to return and exchange them if they don’t work for you. See how a few other bloggers styled their shoes from Hotter Shoes. I love them! I need a pair of those now! Here in the Philippines, heat index are reaching new heights and I need to wear something comfortable whenever I go out in the sun. I love your style! I love them! this comfortable Shoes for Spring and Summers shoe pair. And I need to wear something comfortable whenever I go out in the sun.I really liked it. Awesome! This is what I call comfort with style. Keep sharing more ideas.